Elephant & Castle. 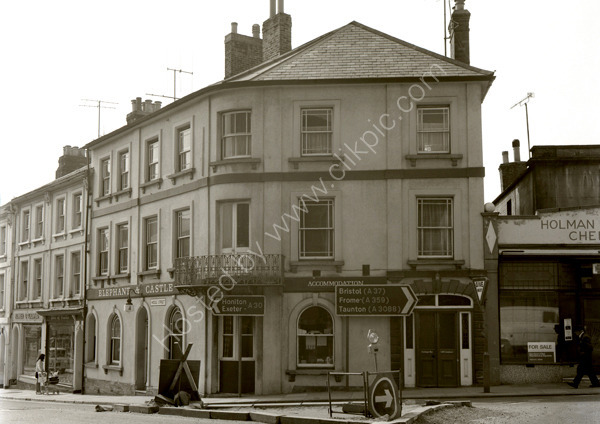 now apartments, 125 to 129, Middle Street, Yeovil, Somerset. Research in 2005 showed it closed. Research in 2015 showed it probably a mixture of commercial units on the ground floor with apartments above. For commercial use of this photo please visit www.alamy.com and search for ER6H9B but for a one-off print please see below.